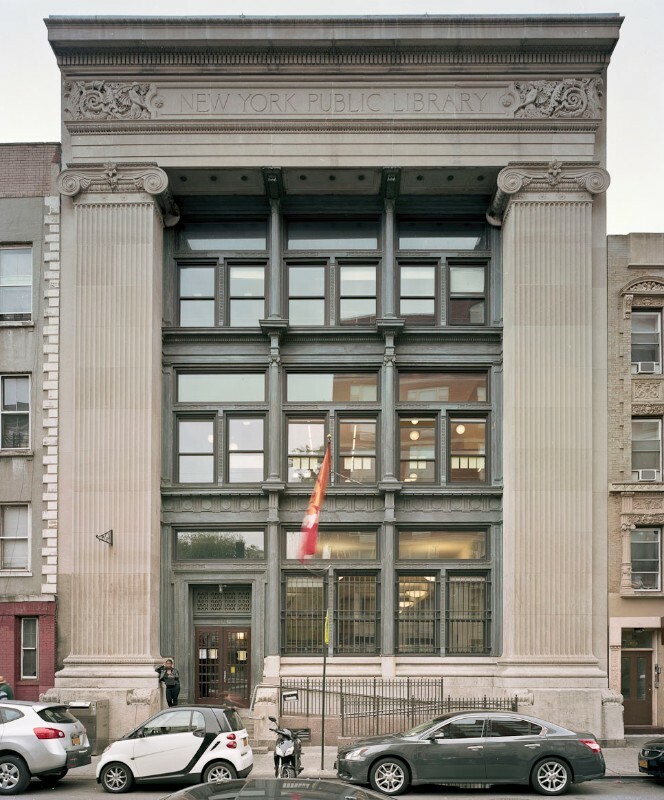 One of the oldest branch libraries in New York, the Aguilar Library was founded in 1886 and is named for Grace Aguilar, a Sephardic Jewish author. In 1905, when it became part of The New York Public Library, Aguilar was serving large Jewish and Italian immigrant populations. After World War II, an influx of Puerto Rican and other Spanish-speaking newcomers led to the creation of an extensive collection of materials in Spanish. Designed by architects Herts and Tallant, Aguilar was built with funds donated by Andrew Carnegie. The interior of the building features a graceful hanging gallery with a cast-iron railing and a pressed-glass floor. 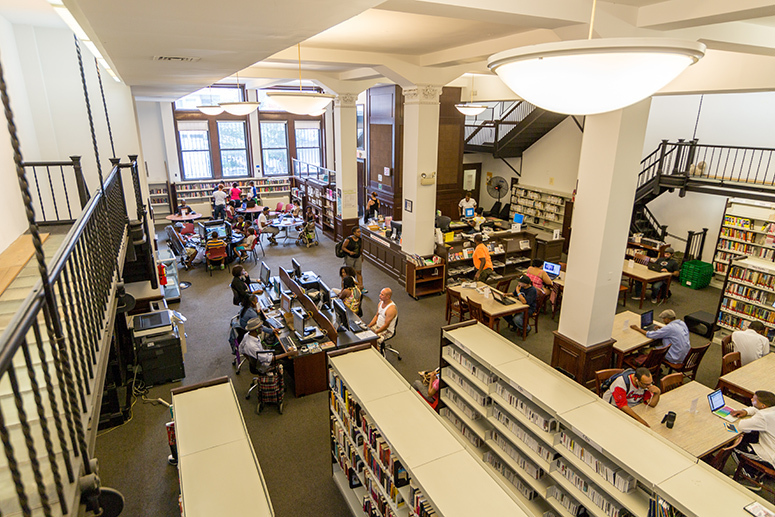 Aguilar was renovated in 1996 as part of the Library’s Adopt-a-Branch program and is fully accessible to people using wheelchairs. The branch has an Adult Learning Center that operates 6 days a week.